Careers | Pacific Customs Brokers Inc.
Pacific Customs Brokers always welcomes applications from talented individuals. Whether you're a veteran with 20+ years of customs experience or a rising star in the industry, we'd love to hear from you! 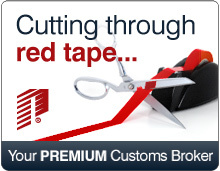 Pacific Customs Brokers is a firm believer in rewarding deserving people. Our staff are amongst the best and so are our benefits! This position involves all aspects of the duties/responsibilities associated with Customs Clearance/Customs Brokerage is primarily focused on trade compliance and file audits. Start on your new career path to becoming a Licensed Customs Broker!